I read Hush twice in the past couple of weeks, and honestly I intend to go back to many poems again and again. Nicole Lyons, is a force of nature, as her biography states at the end of the book. The only thing wrong with this poetry book is that it ends. I could have read more, I wanted to read more! 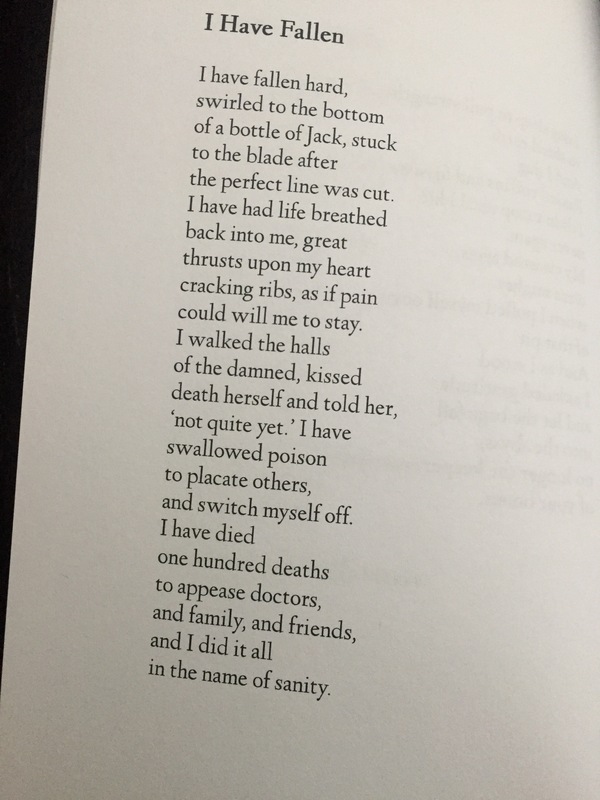 This poem is brillant in the ways it portrays the narrator’s suffering, pain, suicide attempts and her rebirth. There are so many poems that I have folded the tip of the edges to read over in Hush. It is a poetry book to be kept close by at an arm’s reach. Get yourself a copy of this tremendous poetry book. 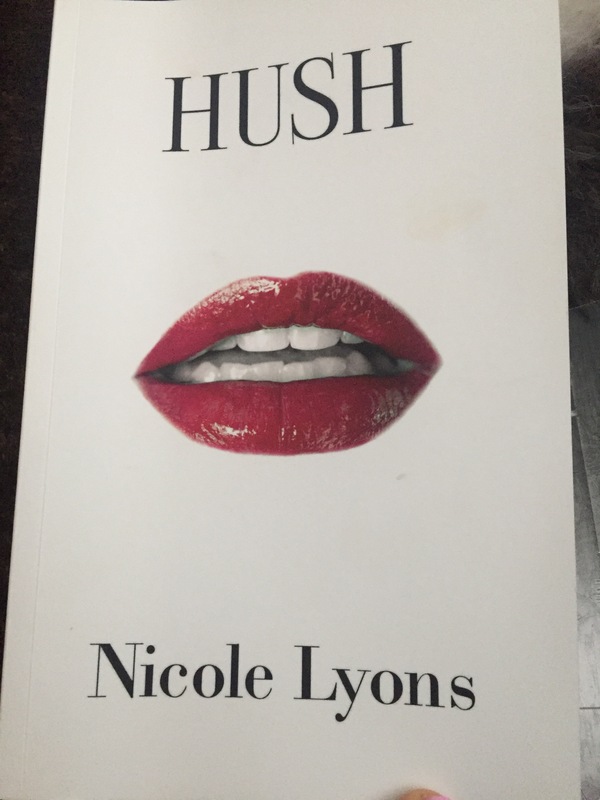 Nicole Lyons is a poet who has written a debut collection that is brilliant and unique. Her poetic voice stands alone among crowds. I hope you check out all her social media platforms below. I am lost for words and deeply humbled. Thank you so much for the time and care you have put into this review, that you read it twice and feel some of the poetry as you do makes me feel like someone gets me. I thank you and I am grateful for this. Nicole, you seriously are an amazing person and poet. 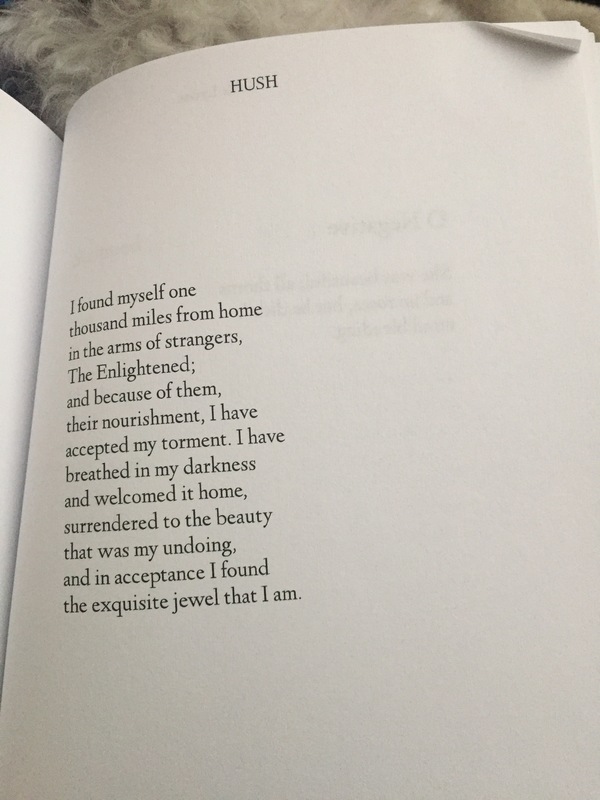 I have come to know you personally lately and you truly shine as a jewel among rocks. It was my pleasure to write this. Much love and wish you so much success. Woman! You have me weeping. I am so thankful that we have met and that I am lucky enough to call you a friend. I think you’re an outstanding soul and I have the deepest respect for you and your beautiful work. You are truly lovely and I am truly humbled. Oh Alfa! Thank you so much. I am so thrilled and excited about Chrissy’s review. 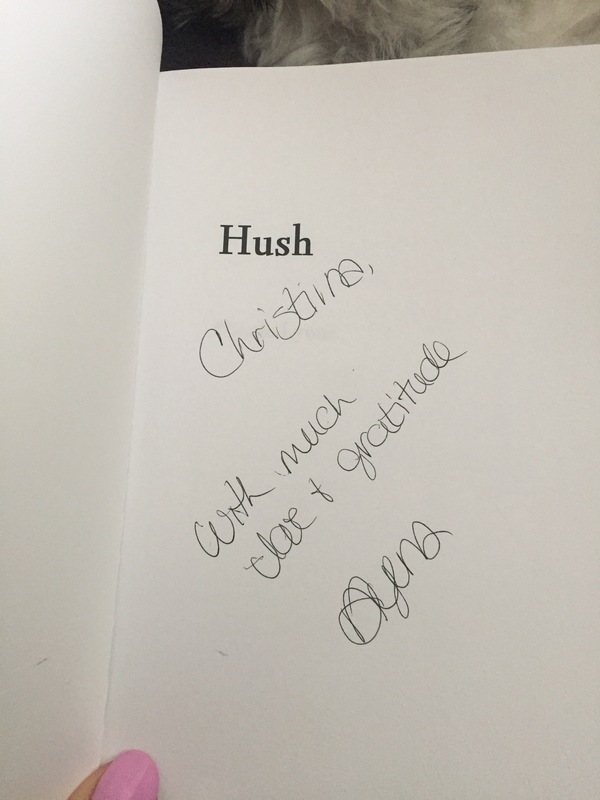 I am so grateful to have met this extraordinary woman, and to have her review Hush is just beyond amazing. Thank you for the review and the kind words Christina, you are a spectacular soul. My pleasure! You’re most welcome! Do you take inquiries for poetry reviews? You’ve got a great site here. If so, where can I reach you? I love this, I must read it. I enjoy reading poetry, it is wonderful. I just completed Poems at the Start on Amazon and I love the writing. Thank you for reading. Yes, it is a fabulous read, especially if you love poetry.